In the first quarter of 2015, 72% of consumers who used an established login on retailer sites entered their Facebook credentials. Impressively, this figure was just as high in the previous quarter, according to social login reports from tech firm Gigya. The social media leader has clearly cornered the market and dominated market share of retail social logins. This affirms the growing trend of Facebook as the social login of choice among consumers. And now that Facebook has further improved its social logins and overall platform to be more useful to consumers and retailers, the social media network is likely to increase its market share even more. Internetretailer.com posted more to show how Facebook has become the social login leader. Facebook’s dominance of retail social logins wasn’t limited to desktops. In fact, 76% of shoppers who used a social login while on a mobile device used their Facebook credentials. Facebook has managed to maintain its momentum and margin with social logins for multiple quarters. Experts expect this trend to continue, especially with Facebook’s recent enhancements that specifically suit retail shoppers and brands. One of the most notable is the move to open the Messenger app to retailers for better communication with customers. 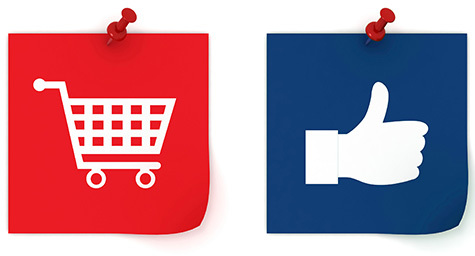 As Facebook continues to improve its platform to enhance the e-retail experience, more consumers are likely to use their Facebook social logins for their online shopping. Stay up-to-date on the latest social media updates. Contact MDG Advertising today at 561-338-7797 or visit mdgadvertising.com.